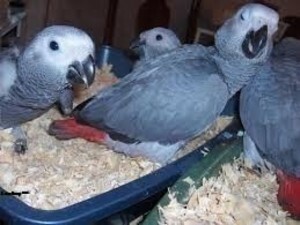 Hi We are currently hand rearing some baby AFRICAN GREY PARROTS all of my babies are hand reared and very tame and have been brought up around children and other pets. We have bred and reared birds as a hobby for over 60 years. We take great pride and care in every baby we hand rear, all of our birds come with closed rings & hatching certificates and a good supply of food to get you started and as much help and advice as you need.